Most prominent face of Brazil's anti-corruption campaign denies post justice minister is compensation from President-Elect Bolsonaro for taking down rival former president. The judge who is the most prominent face of Brazil's anti-corruption campaign has denied that his appointment as justice minister was a reward for having convicted and jailed a political rival of his new boss. "This has nothing to do with the case of ex-president Luiz Inácio Lula da Silva," federal judge Sergio Moro told reporters at his first press conference since accepting the nomination. "I know that some interpreted my nomination as a reward. That is not the case." Moro is both celebrated and loathed in Brazil for his role in the Lava Jato ("Car Wash") investigation, which has seen dozens of business leaders and politicians who participated in schemes to trade public contracts and favours for kickbacks and bribes jailed. The most prominent is Lula, the popular former preident whose conviction resulted in him being barred from seeking another term this year, paving the way for President-Elect Jair Bolsonaro's victory. Many credit the hard-charging judge with ending a culture of impunity, but others feel the probe has focused too much on Lula's leftist Workers' Party (PT), while giving less attention to politicians on the right. Those complaints have grown since Moro accepted a position in Bolsonaro's Cabinet. Lula's attorneys have already filed an appeal alleging that the appointment proves the judge's bias. Moro at times defended Bolsonaro, saying some of the far-right politician's extreme comments had been taken out of context, but he also said the two disagree on some points, such as the incoming president's contention that people who occupy land in protest should be considered terrorists. Moro rose to national prominence by cracking down on the white-colour corruption, but as the head of the justice and public security ministries, he will now face a potentially thornier problem: a scourge of violent crime, often fueled by drug-trafficking gangs. Last year, nearly 64,000 people were killed in Brazil, a record for the country that has long been the world leader in annual homicides. 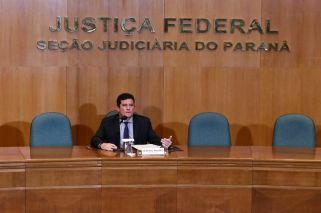 Moro told reporters that he would use some of the same tools employed in Lava Jato to fight organised crime, such as using task forces to investigate crimes, saying that New York had success with the practice in its fight against the mafia. 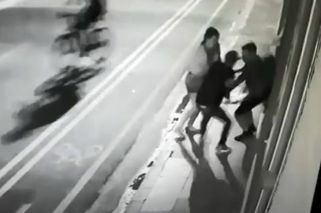 "A good police operation is when no-one gets hurt, and the criminal goes to jail, and the police officer goes home," he said.